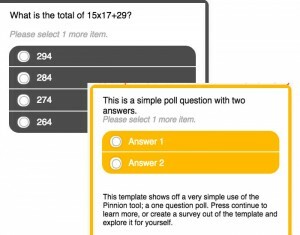 We’ve made it easier than ever to get started creating great looking polls and quizzes. With every new account, you get pre-designed templates for both polls and quizzes. Look for new templates every week for every kind of poll, quiz and survey you can imagine. In January, we’re going to start rolling out new themes. If you haven’t discovered Pinnion Themes yet, you’re in for a treat. You may already know that Pinnion is incredibly flexible forletting you make your polls, quizzes and surveys look exactly the way you want them to. Something specific you’d like to see us make? Let us know.